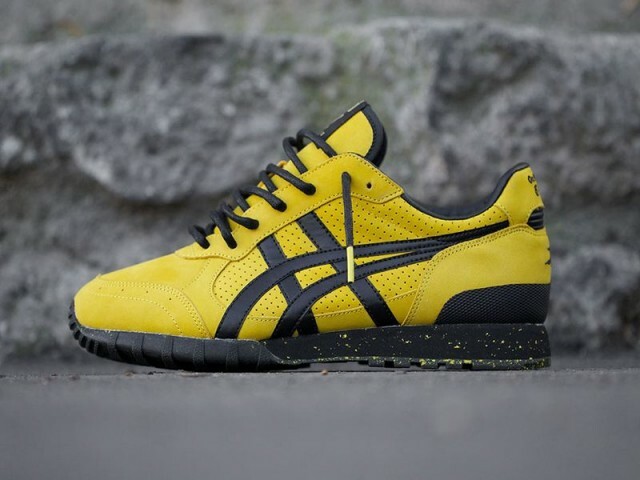 BAIT x Onitsuka Tiger x Bruce Lee Colorado 85 "Legend"
Yesterday, we gave you a look of the BAIT and Onitsuka Corsair model that is inspired by karate film legend, Bruce Lee. As expected, we now have official images of the second portion of the pack and the two brands chose to let the Colorado 85 model be the shoe to represent Lee. 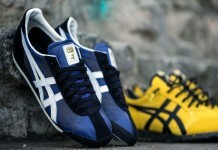 The yellow and black sneaker is inspired by the iconic jumpsuit worn by Lee in the 1978 Game of Death film. 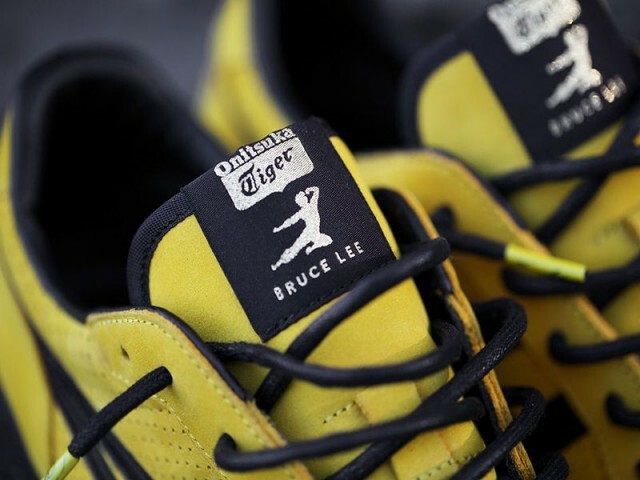 The sneaker really sums up the personality of Bruce Lee. 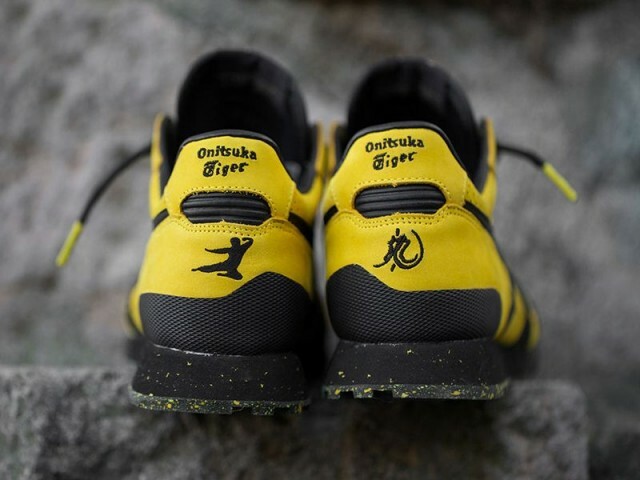 The shoe is bold but posses really smooth and intricate pieces to make this a very striking shoe. 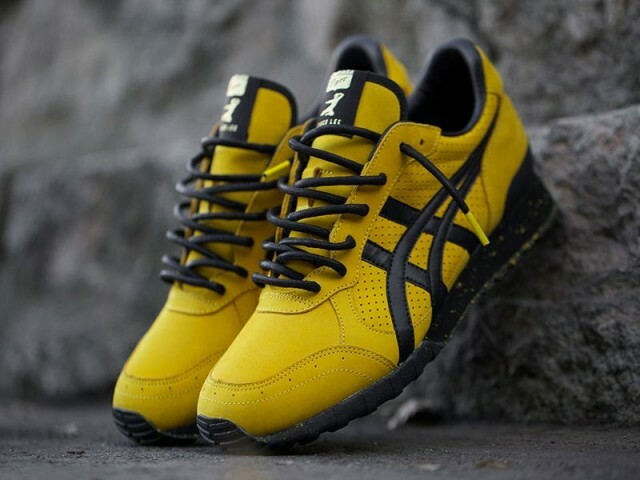 The upper contains bright yellow nubuck and is finished off with a black Onitsuka Tiger logo. Waxed laces with Lee’s signature, mends well with the Colorado 85 silhouette. 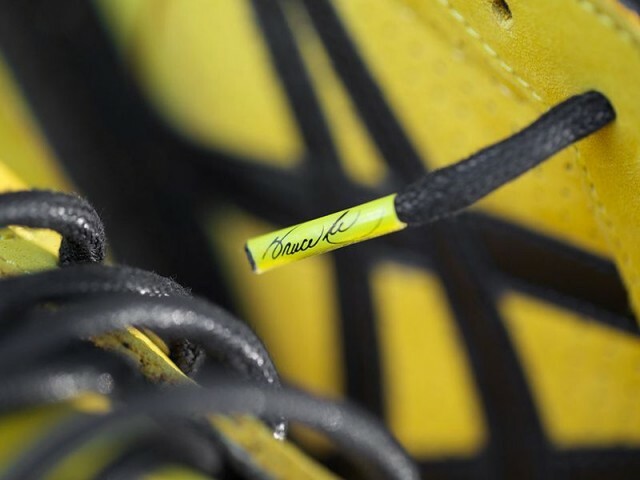 Lee’s “Kickman” logo appears on the tongue and heel of the shoe. 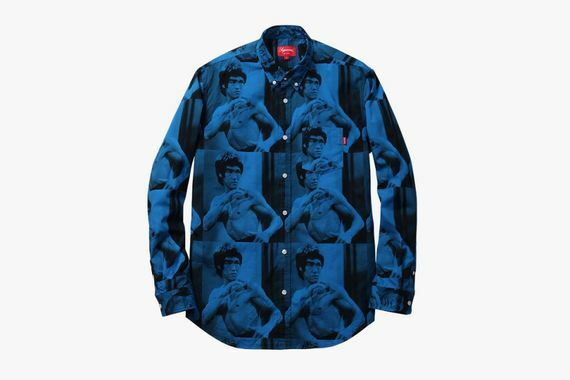 If you’re a fan of Lee, this will be the ultimate collectible. 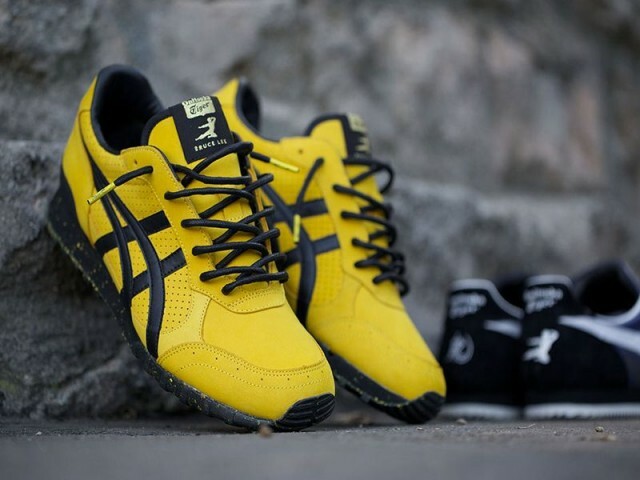 You can purchase at BAIT’s Seattle, Los Angeles, and Hong Kong pop-up locations on Lee’s birthday, November 27. If you want to purchase online you will have to enter a raffle. Do you think this new model is better than the Corsair? Let us know in the comments below.